My curiosity propels me forward. 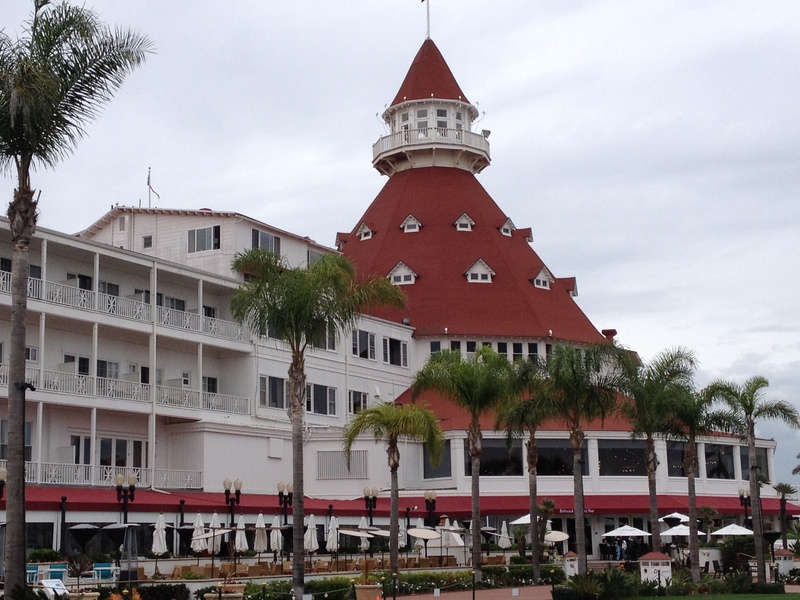 A small group of people are congregating on the beach outside the Hotel del Coronado in Coronado, California. They are taking pictures, but all I can see from a distance is a green beach umbrella shading plastic bins and a white-haired man standing in the middle of it all. Getting closer, I see him pumping a fine mist of water onto his creation – a sandcastle unlike any I have seen. This elaborate six-foot structure looks like Cinderella’s castle with two hearts at the base and trees lining the walkway. It is amazing what you find on a windy, overcast day at the beach. Picture albums of this middle-aged man’s creations sit on a portable table along with a “tip jar.” The cardboard sign in the sand tells us that he is self-employed and this is his full-time business. Bill Pavlacka’s career as a plasterer began to decline as the economy changed, forcing him to look for other options. 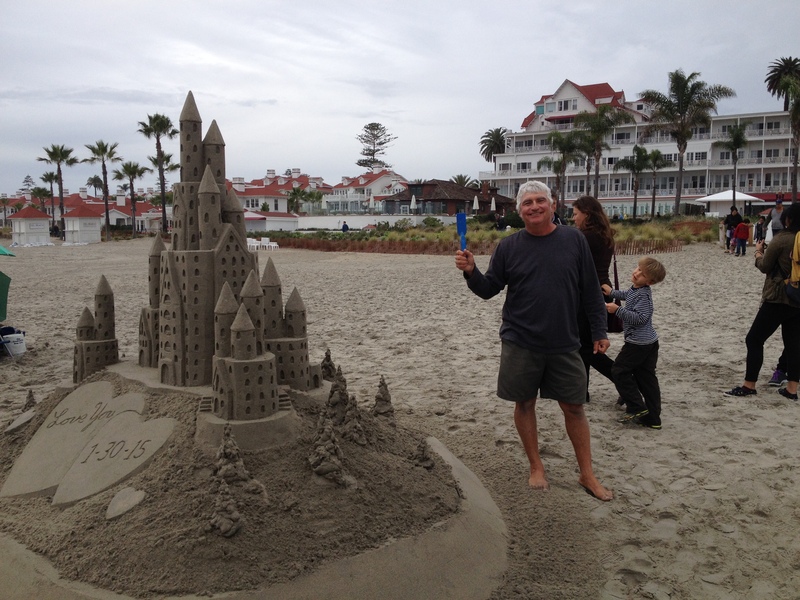 As a husband and father of two young children, Bill has spent many hours with his family coming to the beach and making elaborate sand castles. People on the beach encouraged him, applauding his work and even talking him into entering a few local contests, which he always won. When his plastering jobs diminished, his wife was the first to suggest he market his talent and take his hobby to a new level…you can read about Bill and see more pictures here. What fascinates me about Bill’s story is his ability to take a loss and make it into a gain, and to say “yes” to whatever comes his way! His future was not known when he left the plastering business; however, he took the risk and he saw the loss as an opportunity. I think those of us who are grieving over a lost job, or a severed relationship or many of life’s losses could take a lesson from Bill. He knew it was a risk but he was willing to try another way of being and of doing things. He only listened to those family members and friends who were supportive and encouraged him. He chose to use a talent he was given and be so passionate about it that opportunities would present themselves because of his willingness to say YES. The next time you find yourself dealing with a loss of any kind, keep an open heart to change and embrace the opportunities that come your way. 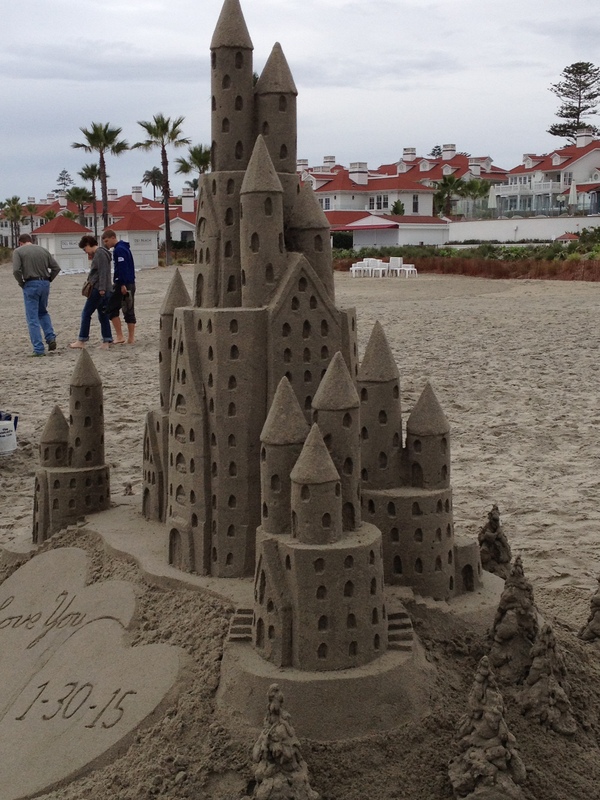 This entry was posted in Grief, growth, Hardships, Inspiration, Lessons from others, Life's Losses, Transitions, Uncategorized and tagged beach, Bill Pavlacka, business, Cinderella, Coronado California, hobby, Hotel del Coronado, life, Loss, opportunity, plastering, sandcastle, transition. Bookmark the permalink. What an amazing story and I think you’ve highlighted very good lessons from it. Thanks! Glad you liked it! It’s amazing to me the people we might who prove to be great teachers – I was reminded that anything is possible through Bill’s story!